Celebrity Face Recognition... who do you look like? "As part of its pioneering development on face recognition in genealogy and consumer photos, MyHeritage.com has created extensive face recognition technology for celebrities. It's free and fun to use." Upload your photo and find out which celebrity you resemble the most! 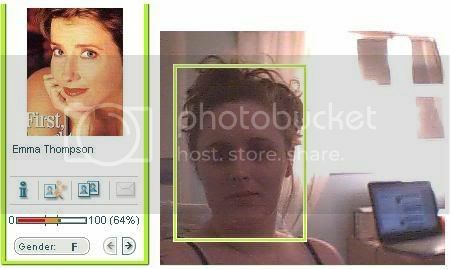 Upload a photo featuring one or more celebrities and watch MyHeritage.com identify them. You need to register to get the results but is free. I resemble Michelle Williams (78%), Angelina Jolie, Norskys Batista, Celina Jaitley, Anna Paquin, Petra Nemcova, Jodie Sweetin, Kelly Hu, Tarja Turunen, Kate Beckinsale (72%).